* Meetings are held the second Tuesday of every month. The Clearview Regional High School District “Green Team” was created December 2016. The Green Team is a group of appointed individuals made up of district employees, board members, advisors and students. This team will review and evaluate sustainable initiatives and make recommendations to the district regarding the feasibility of implementing these initiatives with the goal of creating a “greener”, more sustainable community. These initiatives will be sure to meet the present needs of its citizens without compromising the ability to provide for its future generations. This shall be achieved through the implementation of environmental practices and initiatives which will provide a healthy and sustainable district and enhance the quality of life for our students and community members. 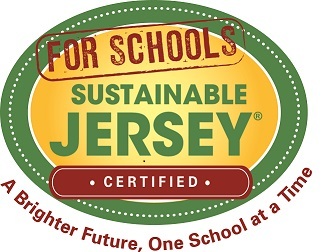 The Clearview Regional High School District "Green Team" is working to improve the quality of life for all district residents through the Sustainable Jersey Program. Information on Sustainable Jersey can be found by visiting http://www.sustainablejersey.com/.